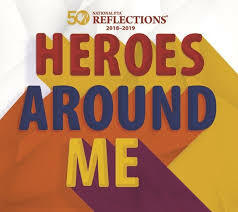 The Reflections Program provides students with an opportunity to engage in the arts through their creativity in visual arts, photography, literature, musical composition, dance choreography and film/video production and receive positive recognition for their efforts. The program is open to all students at all grade levels, including those enrolled in Special Education classes. Students are encouraged to enter their original art as it relates to this theme. All entries will be evaluated by outside judges and a first, second, and third place winner will be awarded. The first place winners in each of the six categories in each grade will be advanced to Gwinnett County PTA for its competition. County winners advance to the state PTA level, and state winners advance to the national PTA competition. Georgia entries have been very successful in past years, with several County, State, and National winners! We are very proud of our NGHS student artists for their past participation and achievements in this wonderful program!